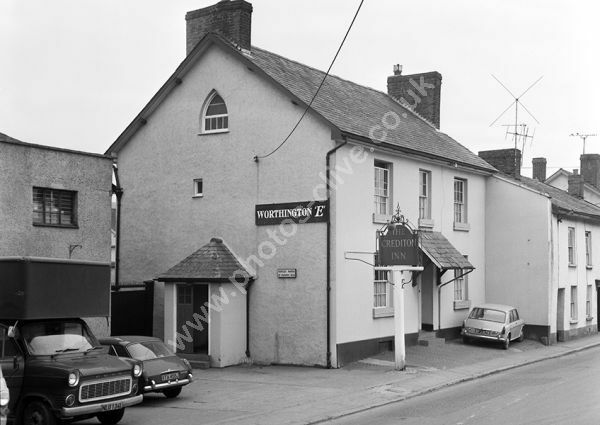 The Crediton Inn, 28a Mill Street, Crediton when the entrance was on the front elevation with a porch over the door. Transit, NLU 134L and Austin VTA 455J, and MG BFJ 817B outside. For commercial use of this photograph please visit www.alamy.com and search for ADDG28 but for a one off print, please see below.